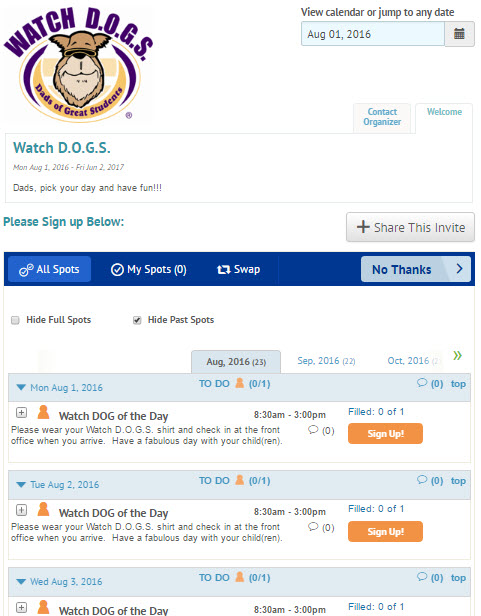 Quickly schedule your master Watch D.O.G.S. calendar; simply register a free account, create a SignUp, and when adding your spots (ToDos and ToBrings,) click the Repeating Pattern button. In the following window, set the frequency and duration of your recurring volunteer needs. 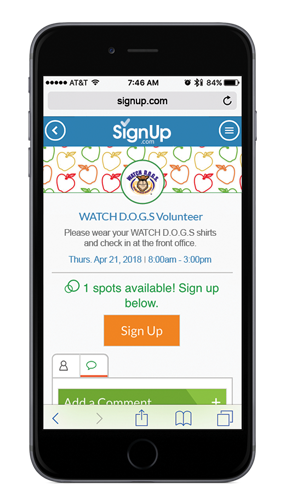 Invite parents to sign up 24/7 from the convenience of their computer or smartphone (no passwords needed!). Volunteers receive automated confirmation and reminder emails and can sync their commitments to their online calendars, easy! 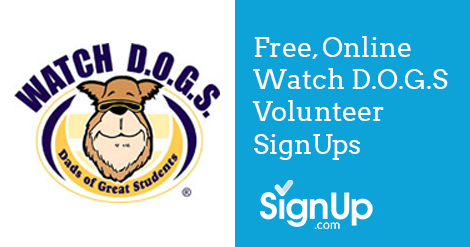 Want to learn more about using SignUp.com for your Watch D.O.G.S program? Check out our help article here.